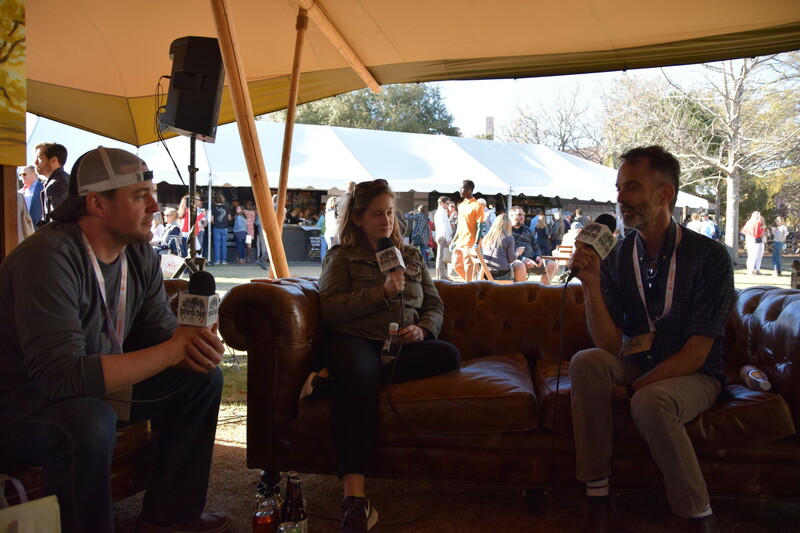 Nick Leahy and Steven Satterfield caught up with host Kat Johnson and taste some beers. Nick tells us about his new concepts Aix restaurant and Tin Tin winebar, both chefs reminisce about their recent James Beard dinners and cooking in New York City. Serving a globally inspired and locally sourced menu, Executive chef Nick Leahy helms the kitchen at Saltyard. Nick is originally from Bermuda and credits his diverse culinary style to his international travels growing up. He first began working in the restaurant industry in high school and honed his skills under Atlanta legend Chip Ulbrich at Food Studio. He then moved overseas to serve as Executive Chef at Daylesford Organic in London—a restaurant that solely uses local and organic ingredients from farms around the city. This experience fueled Nick’s passion for sourcing from small, nearby purveyors and farmers. James Beard award-winning chef Steven Satterfield is the executive chef and co-owner of Miller Union, a celebrated, seasonally-driven restaurant located in Atlanta’s Westside neighborhood. Since opening in 2009, the restaurant has received various honors on many national lists including Eater, Bon Appetit, Food & Wine, Esquire and James Beard Foundation. In 2015, Satterfield released his first cookbook, Root to Leaf, to broad critical acclaim. Satterfield remains deeply committed to Atlanta’s progressive culinary community and holds leadership positions with Chef’s Collaborative and Slow Food Atlanta. He is also a proud and active member of the Southern Foodways Alliance and Georgia Organics. Satterfield’s dedication to seasonal cooking and his unwavering support for local farmers is the driving philosophy behind his restaurant and everything he does. In 2017, Satterfield won the James Beard Foundation’s “Best Chef: Southeast” award and Miller Union was recognized as one of the country’s best restaurants by Eater National.